ALBANY – Kathryn Kelly Garrett, 84, of Albany, passed away on Saturday, November 5, at St. Peter’s Hospital. Mrs. Garrett was born in Oneida, the daughter of the late Thomas L. Kelly and Margaret Farley Kelly. She was a graduate of Oneida High School, earned a B.A. degree in Pre-Professional Social Work from Utica College of Syracuse University and an M.S. degree in Social Work from Syracuse University. She was employed by the Erie County Department of Social Services and by Catholic Charities of the Dioceses of Buffalo and Syracuse before moving to the Capital District. Locally she was employed by the Rensselaer County Department of Social Services, Parsons Child and Family Center, and the New York State Child Abuse Register. A woman of excellent wit, Kate was noted for her fine sense of humor and thoroughly enjoyed sharing jokes and cartoons with friends, acquaintances, and complete strangers – who never stayed strangers for long. She made friends quickly, but for life, as her fellow Oneida schoolmates knew well. She relished the yearly Triple Crown races, especially with a personal pizza (anchovies added). A fan of word games and trivia, she routinely conquered the daily crossword and Jumble, bested the unwary at Scrabble, and brooked no interruptions during the airing of Jeopardy. She greatly enjoyed being a member of the Jewish Community Center in Albany for over 25 years, especially participating in the Water Aerobics program. 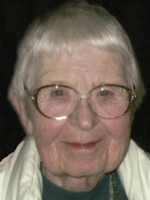 She was a communicant of All Saints Catholic Church and the former St. Margaret Mary’s Church, where she was a long-time member of the Angels To Each Other group, and was a friend of Bill W.
Kate was predeceased by her beloved husband Joseph D. Garrett in 2009. She is survived by her daughter Nell Garrett of Albany; her brother Joseph M. Kelly (Joan) of Beavercreek, OH; and by several nieces and nephews. She was predeceased by her brother Thomas Kelly. She was very grateful for a wonderful life, her cherished daughter Nell, and her nephews and nieces, especially Mary Kelly and Anne Johnson. She will be sorely missed. A Mass of Christian Burial will be celebrated in All Saints Catholic Church, 16 Homestead St., Albany (behind CVS), Thursday morning at 9:00am, and a reception to celebrate Kate’s life will follow at Maggie’s Restaurant, Albany. Relatives and friends are invited, and may call at the Hans Funeral Home, 1088 Western Ave., Albany, Wednesday from 4-7 p.m. Visitors are encouraged to bring photographs and stories to share. Interment will be held privately at a later date in St. Mary’s Cemetery, Troy. The family suggests that in lieu of flowers, memorial contributions be made to All Saints Catholic Church – Attn: Angels to Each Other, 12 Rosemont St., Albany, NY 12203; or to the Sidney Albert AJCC Aquatics Fund, 340 Whitehall Rd., Albany, NY 12208. To leave a message of condolence for the family, please visit www.HansFuneralHome.com. We have known Kate for many years from St.Margaret Mary,s Church and we visited at JCC when she attended water exercises.She often gave us jokes to enjoy.She was a very friendly lady who enjoyed people. She will be missed at the angel to each other group.